This causes various diseases based on the arteries affected like heart attack, stroke, etc. Generally, people with diabetes mellitus, high cholesterol and fat content, high blood pressure, smoking habits, etc. 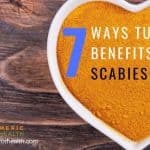 are more susceptible to the disease than others. The foremost thing to treat atherosclerosis is to adopt healthy lifestyle choices, like avoid smoking, high fat-content diet, perform exercise regularly, etc. The medications generally include drugs to lower blood gluco,se and cholesterol levels, hypertension, anticoagulants to reduce blood clots in the arteries and surgical procedures. 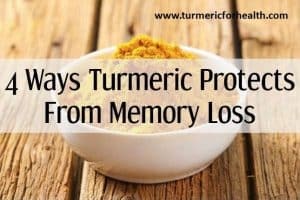 Apart from general medication, several herbs like turmeric, green tea pomegranate juice, garlic and dietary supplements like fish oils have shown a huge promise in reducing the clogging of arteries and long term treatment and reversal of the disease, while reducing the general side effects of drugs and elimination needs of surgeries. This article will discuss the major role played by turmeric plays a major role in the maintenance of heart health, and thus helps in atherosclerosis. 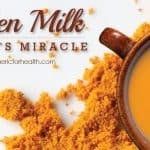 How does turmeric help in atherosclerosis? A very popular spice in the Indian kitchen, turmeric has been used in ancient medicine since centuries due to its amazing medicinal properties. The major active ingredient present in turmeric is curcumin, which possesses anti-bacterial, anti-inflammatory (prevents inflammation or allergies) and antioxidant (prevents oxidation of other molecules) properties. Turmeric can benefit in Atherosclerosis in several ways. It helps improve the permeability of the arteries. 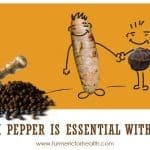 Turmeric is one of the best natural anti-inflammatory and anti-oxidant agent these are major reasons for atherosclerosis. It also suppresses cholesterol accumulation, regulates cholesterol metabolism and prevents from adverse effects of a high-fat diet. Lastly, turmeric has cardioprotective properties. We discuss all these properties of turmeric and its ability to help in atherosclerosis in the following sections. An important effect of atherosclerosis is the accumulation of oxidized-lipid laden “foam cells” along the arterial walls. Thus, preventing oxidation of LDL could play a crucial role in preventing the formation of “foam cells” in the arteries and blockage. Lipoproteins and maintaining the cholesterol levels within appropriate levels. What it means? Turmeric, due to its anti-oxidant properties prevents oxidation of bad cholesterol, and prevents fat and cholesterol deposits on the arterial walls. Patients suffering from diabetes mellitus (Type II Diabetes) pose a higher risk for having atherosclerosis than others. This is because patients having Type II diabetes have an impaired repair response system, which increases the possibility of rupture of atherosclerotic plaques and hence the formation of blood clots. A study with human subjects suffering from type 2 diabetes has shown that treatment of such patients with curcumin (the major active ingredient present in turmeric) exhibits an anti-atherosclerosis effect. Also, it helps in the lowering of the atherogenic risks in this high-risk population, by reducing the insulin resistance (a condition where the body does not use insulin effectively) and body fat content. What it means? But when these patients are given a fixed regular dosage of curcumin extract, it reduced the risks of atherosclerosis significantly by improving metabolic profiles of the body. One of the crucial events in atherosclerosis is the activation of platelets and their recruitment of inflammatory cells at the sites of injury. Also, high cholesterol and LDL content is another crucial reason behind the plaque formation on the arterial walls. 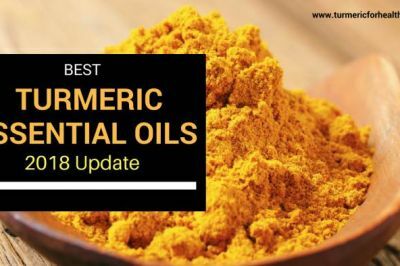 Research has shown that turmeric oil components have reduced total plasma cholesterol content, bad cholesterol or LDL content, lipid-induced oxidative stress and platelet activation. What it means? Turmeric oil can play a role in preventing arterial thrombosis (blood clot in arteries) and atheroprogression. Peroxidised Low-Density Lipoprotein leads to the deposition of oxidized lipid coated fat cells and their proliferation along the arterial walls, narrowing the arteries. 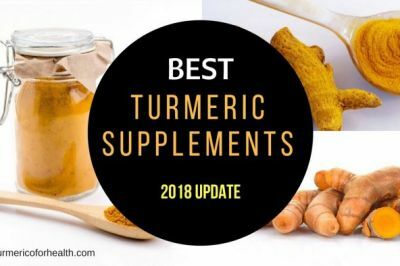 A research trial has shown that regular intake of turmeric, equivalent to 20 mg of the active ingredient curcumin, led to a decrease in peroxidation levels of LDL (low-density lipoproteins) as well as HDL (High-density lipoproteins) in patients having peroxidized LDL higher than baseline values. What it means? Turmeric can lower lipid levels and used for treatment of atherosclerotic patients. One of the important events in atherosclerosis is increased the formation of plaque, due to the proliferation of fibrous tissue, owing to the increased migration and proliferation of vascular smooth muscle cells. A Study has shown that turmeric helps in inhibiting the proliferation of Vascular Smooth Muscle Cells. 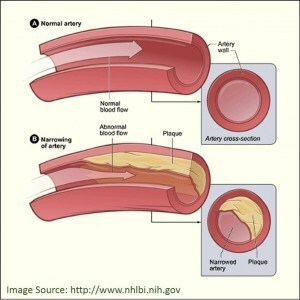 The major effect of atherosclerosis is the reduction in delivery of oxygenated blood due to arterial blockage. 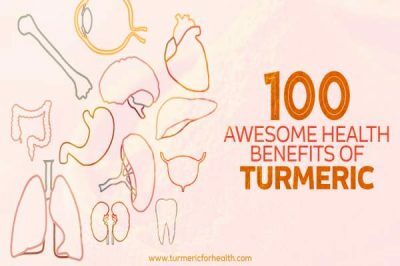 Studies have shown that turmeric extract helps in the lowering of heart rate and blood pressure in the arteries by inducing relaxation of the blood vessels. Another study has shown that an extract of turmeric helps in the improved vasorelaxation of arteries in hypercholesterolemic rats. 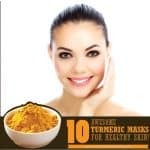 This property of turmeric helps in reducing the blockage of arteries, making it an effective complement for vasodilation drugs (drugs that dilate arteries). What it means? 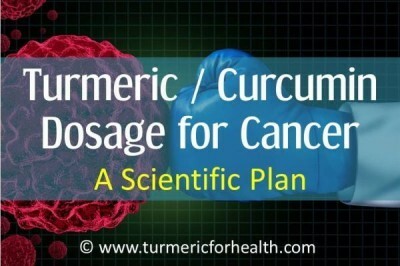 Turmeric relaxes blood vessels, hence reduces blockage. Atherosclerosis in the arteries of the brain leads to stroke. Curcumin itself cannot cross the blood-brain barrier efficiently, hence chemical modifications of curcumin have been carried out, to facilitate an enhanced penetration across the barrier. CNB-001, a novel hybrid compound of curcumin, helps to repair the damage caused by a stroke at a neuronal level, due to neuro-protective properties of curcumin. CNB-001 has been proved to be therapeutically safe and effective treatment for stroke. What it means? Turmeric compounds reduce motor impairment (loss of muscle control, paralysis) caused by a stroke. Obesity is one of the major risk factors for patients to suffer from atherosclerosis. A recent study has shown that curcumin, the active ingredient of turmeric and its derivative, bisdemothoxycurcumin (BDMC) possess anti-coagulant properties, by inhibiting thrombin activities, thus preventing blood clot formation. Another related research has shown that turmeric inhibits platelet aggregation induced by arachidonate by inhibiting thromboxane production from arachidonic acid. What it means? Turmeric reduces the formation of blood clots inside the arteries, thus preventing arterial blockage. Study has shown that curcumin has the ability to reduce obesity, along with obesity-related disorders by inhibiting the differentiation of adipocytes (cells producing fat). Also, it interacts with adipose tissue to induce expression of adiponectin, the major anti-inflammatory agent produced by adipocytes. What it means? 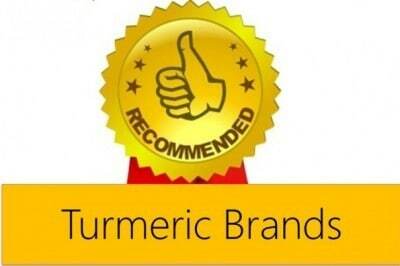 Turmeric reduces obesity and related disorders, thus reducing atherosclerotic risks. Heart problems can arise as a direct effect of plaque accumulation along the arteries, for instance, Ischemic heart disease or heart attacks. This was investigated by Abderrahim Nemmar et al. where they saw that curcumin treatment enhanced resistance to diesel exhaust particle (DEP, a compound that causes inflammation and artery-damaging events). Atherosclerosis and coagulation were also mitigated, in turn, preventing pulmonary and cardiovascular disorders. The administration of curcumin activates the behavior-modulating mechanisms in the arteries. This ability to manipulate cell signals and reactions imparts blood profile attenuating ability to the compound. Turmeric can be taken on a daily basis as part of the regular diet, in curries. Due to its low absorption in the body, it is suggested that one can intake turmeric with black pepper to enhance the absorption rate. 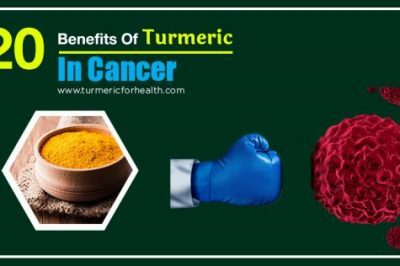 Although turmeric does not have any known side effects, the following people should be aware of the intake of turmeric supplements and should consult the physician regarding the dosage. 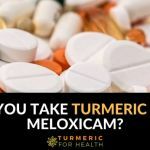 People taking blood-thinning medications (increase blood flow to the brain and reduce the risk of blood clots) must consult the doctors before having turmeric. 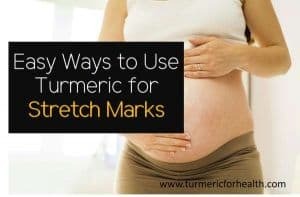 Turmeric supplements should be avoided by pregnant women (may promote uterine interactions) and breastfeeding women. 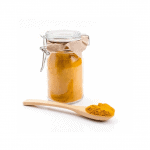 Excess dosage of turmeric may cause nausea, diarrhea, rashes in patients allergic to turmeric. 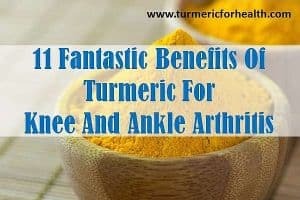 Also, turmeric should not be had before any major surgery (interferes with blood clot formation). People having stones in gall bladders should consult doctors before having turmeric. 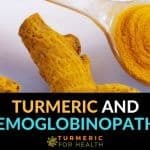 A 2013 study published in the Journal of Nutritional Biochemistry along with a 2012 study published in American Diabetes Association’s Journal: Diabetes Care, explore how curcumin intervention can help in reducing the atherogenic risks in type 2 diabetes patients and preventing T2DM in pre-diabetic population respectively. The results of both the studies were similar. The 2013 research lasted for 6 months and was done on 226 patients suffering from T2DM . Various metabolic parameters like the stiffness of arteries were compared in the two groups i.e. the placebo-controlled and curcumin groups. The anti-inflammatory effect of curcumin brought down the stiffness in arteries and leptin levels, and elevated adiponectin protein’s levels. Hence, abdominal obesity and resistance to insulin also decreased. The 2012 research was a 9-month trial conducted on 240 subjects diagnosed with pre-diabetes. 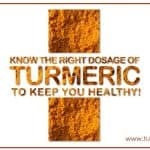 All subjects were randomly given either 3 capsules of curcumin (250 g curcuminoid extract per capsule) or placebo (250 g starch per capsule) twice a day. Changes in beta-cell functions, insulin resistance, adiponectin levels, and other parameters were observed at baseline and after 3, 6 and 9 months. After 9 months, no patient in the curcumin group was suffering from T2DM in contrast to the placebo group where 16.4% patients developed T2DM . With lower insulin resistance and higher levels of adiponectin, the overall beta cell functioning enhanced in the curcumin group than the placebo-controlled group. Taking the results of the two research studies into consideration, it can be concluded that oral intake of curcumin in pre-diabetes can remarkably prevent Type 2 Diabetes Mellitus development by the maintenance of healthy beta cell functions. Also, curcumin consumption in Type2 Diabetes Mellitus patients can lower down the risk of occurrence of cardiovascular complications like Atherosclerosis, that too with minimal/no side effects. 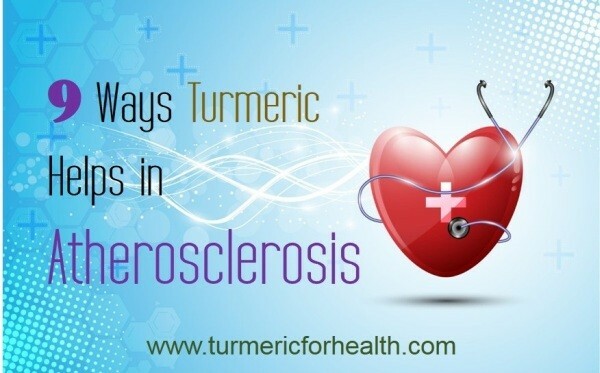 Research studies have shown that turmeric can help in multiple ways in case of atherosclerosis. Of course, the results vary based on various factors too. It is best to include turmeric in your regular diet to get its benefits and prevent disorders and helping in treating existing ones. 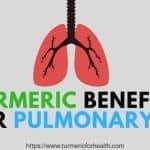 If you found the article useful, please share the benefits of turmeric with your family, friends or colleagues. Very good article to read and understand. I am at another crossroad in life (at nearly 80). Basically my health is reasonable. I am on a self imposed modified Veg. diet. My weight is ideal down from 200 in high school (60 years ago) now around 140. BP Ok, lab data fine overall and lipid panel in the optimum range. Yes, I have had a few ‘Bumps along my journey. Life Style Changes the KEY factor, unfortunately for many, to late. My cardiologist wants me to take one of many NEW medications used in the management of Atherosclerosis that, ‘MAY PREVENT STROKE’..Eliquis…Xarelto etc. Without getting into the Maze of ‘Competing Factors,’ clearly cannot be denied, billions of dollars, along with the secondary competition hyped supplement market, at stake….a daunting task indeed. so far, I haven’t read anything in your article that shows that curcumin DISSOLVES cholesterol plaque in the arteries. All it does is prevent the build up of circulating cholesterol or prevents the build-u of plaque. It has a lot of positive benefits as mentioned in your article but what DISSOLVES THE PLAQUE? Hi. With 1 tsp of turmeric powder 1/4-1/2 tsp black pepper powder should suffice. 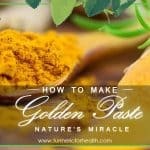 You can consider taking Golden Paste as well. hi my cousins valve is calcified, would taking the golden paste help in clearing the calcified valve? if so how long should he take until he seems some result? anything else he should do to help clear the calcification in valve. We can’t comment much as to when therapeutic effects would be observed but turmeric is good for heart health. Also you may discuss the use of turmeric supplements for this condition with your cousin’s doctor. Hope this helps. 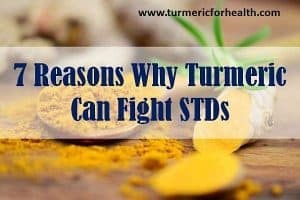 I have been using Turmeric for about 3 months. I add it to tea, daily. Haven’t been using it long enough to notice big changes. As an asthmatic, I am discovering that the inflammation seems to be reduced giving me better breathing, in addition to all the other benefits, it truly makes me feel good. I love the flavor, adding raw honey for a change on occasion is a favorite. I do add the black pepper for the absorption but was not real clear if the pepper is necessary. Any suggestions?